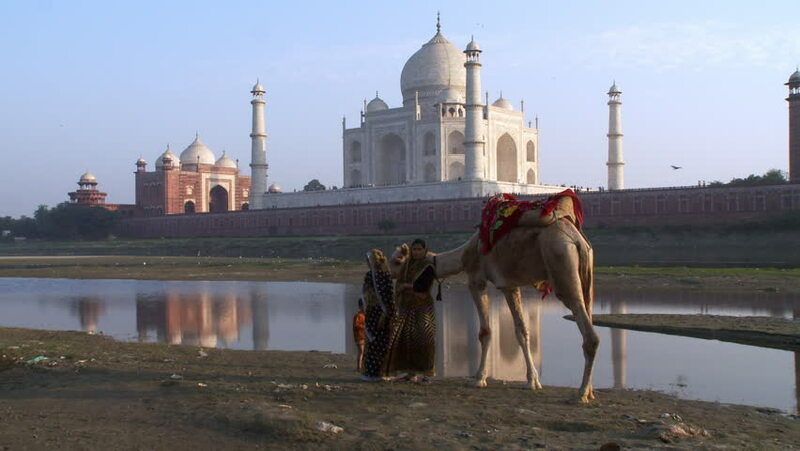 India - CIRCA 2013 - Two women and a camel posing in front of the Taj Mahal. hd00:21ISTANBUL,TURKEY - DEC 30 : The courtyard of the Suleymaniye Mosque on Dec 30,2015 in Istanbul,Turkey. The Suleymaniye Mosque is the largest mosque in the city,and one of the best-known of Istanbul. hd00:11Cityscape view of Agra, with Taj Mahal in background. 4k00:21Agra, India - January 2018: View of Tomb of I'timad-ud-Daulah (Itimad ud Daulah ka Maqbara) is a Mughal mausoleum in the city of Agra also known as "jewel box" or "baby taj"